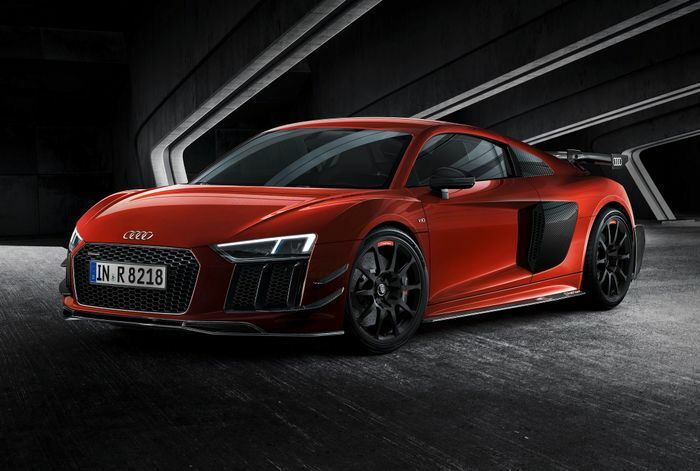 Audi has revealed a pinnacle R8 with reduced weight, more downforce and a massively increased exclusivity factor. It’s potentially a final hurrah for the everyday supercar, whose days are numbered. 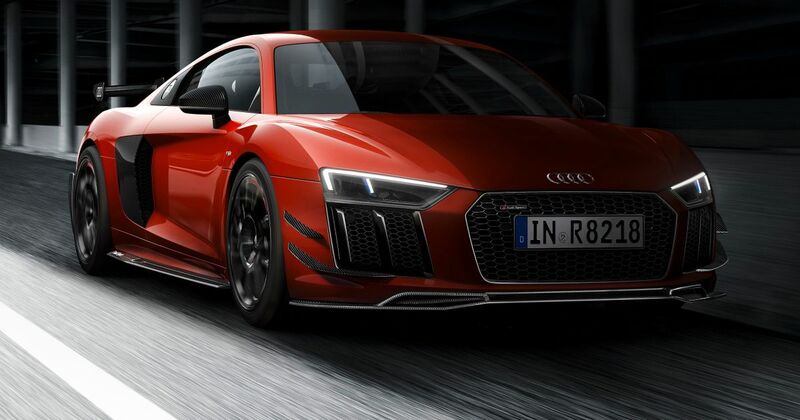 Just 44 examples of the coupe-only Audi Sport Performance Parts R8 will be built for the global market; only five will come to the UK in right-hand drive. Each will share the same spec, focused around a wind tunnel-developed aerodynamics kit (you could hardly miss that fixed rear wing, now, could you?) made from carbonfibre-reinforced plastic. You’ll need to be travelling at serious speed to take advantage of the full improvement. 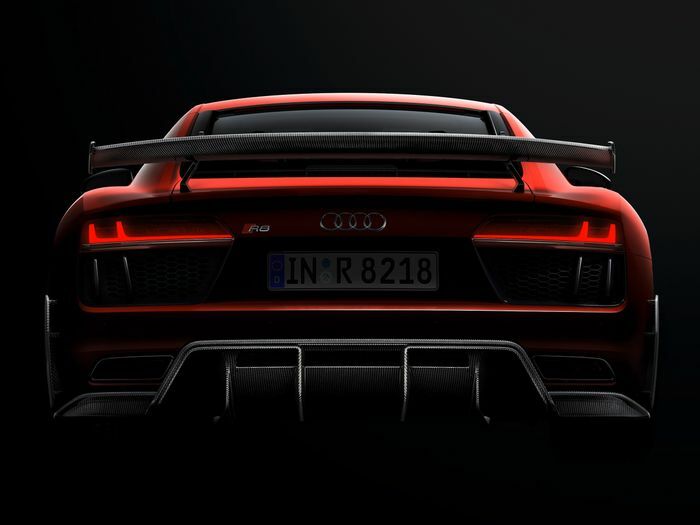 The peak 100kg+ downforce increase over the R8 V10 Plus comes at, err, 205mph. On the other hand, clever design means that at 93mph, a much more accessible track speed, the Performance Parts car has double the Plus version’s downforce, at 52kg. 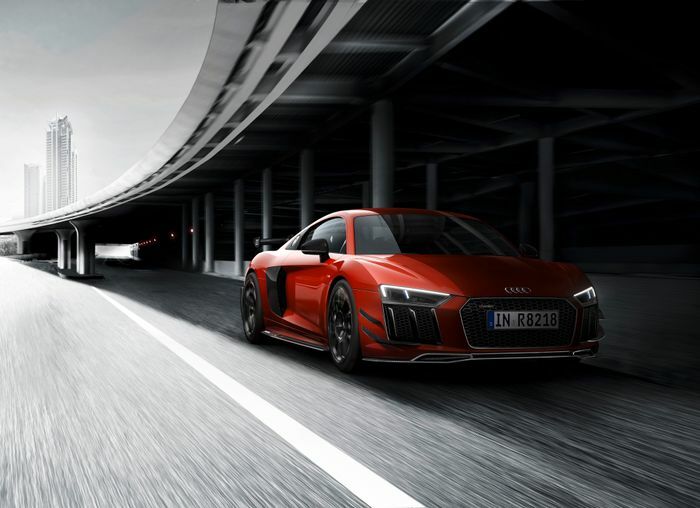 Power is unchanged from the V10 Plus, at 602bhp. Weight is chopped by milled 20-inch multi-spoke alloy wheels that cut as much as 8kg from the unsprung mass. They’re dressed in Michelin Pilot Sport Cup 2 tyres, natch, and are over a foot wide at the back (305/30). More grams are shaved thanks to a lighter three-way adjustable coilover suspension setup. It’s fully adjustable, so you can tweak it to the way you use the car – or you can firm it up when you get to the track. Ceramic brakes – did you really expect anything else? – feature titanium backing plates and are gripped by ‘specially enhanced’ brake pads for more friction and an even greater resistance to fade after extreme use. Inside the cabin it’s an Alcantara feast. The steering wheel is covered with the grippy matt material and accented with a red racing tab. The equipment larder is hardly bare despite the ‘lightweight’ tag, and you’ll still find the likes of Bluetooth, a rear-view camera, leather bucket seats, sat-nav and more. Misano Red is your only colour choice but at least these cars aren’t pre-sold. The 44 are for sale right now through any one of Audi’s official dealers. If you want one of the few coming to your country, you’re going to have to shell out £176,560, or about £21,000 more than a bog-standard Lamborghini Huracan.